How I Made an Outdoor Lounger Bed for Less than $30 and Giveaway! Remember last week when I showed you how I got my outdoor furniture cushions ready for summer with a good scrub down? I gave you a brief glimpse of my outdoor lounger/bed that I put together on our back deck. However, I spend a lot of time outdoors in the summer supervising the kids in the swimming pool and I needed something a bit more comfortable and bigger to lounge on. This is where the generosity of your neighbors comes in handy! There’s a house around the corner from us that has been under construction of some sort for the last million years. Seriously! We have lived in this neighborhood for 3 years now and it’s been a work in progress all that time at least. Every once in awhile, while driving by their house, I hit the curbside jackpot. A few weeks ago they had this bed frame and mattress on the curb with a free sign. Now here is the way I curbside shop. I drive by and scan the item. I usually pass on by thinking I DO NOT NEED THAT! And I drive on my merry way. When I return and the item is still there, I naturally assume it’s meant to be. That’s when the trunk gets cleared and the curbside treasures get loaded in. And sometimes a kid has to sit on the roof! My original intention was to paint the bed frame and sell it as a bulletin board. And then I would pull the mattress apart and get the springs out for some additional crafty ideas. Until we had the first pool day. It didn’t take me long to drag that mattress and bed spring to the backyard! I know what you are thinking, a used mattress??? Yuck! Well, in all fairness I did Lysol the bajeebers out of it. And then I purchased a vinyl mattress protector for $9 to cover it. I then purchased a set of Twin Sized Jersey Knit Sheets from Target for $20 The fitted sheet went on the mattress. And I have the flat sheet tucked under the mattress and wrapped around as a bed skirt. How did I get those neat tailored corners? I just took the pillow cases that came with the set and draped them on the corners. And the pillows were all purchased last year at Cost Plus World Market. So for a grand total of $29, I created an outdoor lounger that I am going to enjoy all summer long! Here is the view from my new outdoor lounge! Wanna Come Over? Of course making an outdoor lounging bed is a great way to get outdoors and enjoy summer. To help kick off your outdoor time this summer I have teamed up with a great group of bloggers for a GIVEAWAY! We’re giving away 1 FREE National Park Pass ($80 Value) which will allow you to access over 2000 National Parks! See a complete list HERE …How cool is that! So get out there and explore this beautiful world we live in! 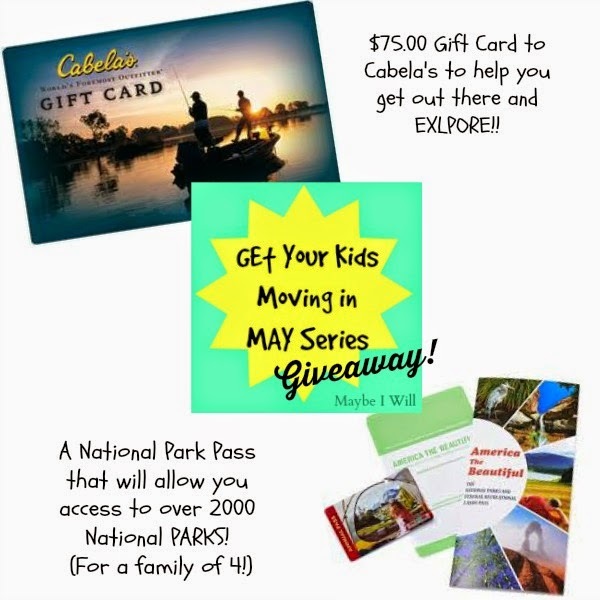 And since you’ll need supplies — we’re also giving away a $75.00 gift card to Cabela’s!!! Shop online or in one of their gazillion locations nationwide! Now Enter Away my Friends!!! I’m not sure which one. Is it bad to say I don’t even know if we have any close enough to visit? I love the color palette you used for your lounger and accessories…Summery and beachy. Beautiful. Thanks for stopping by and linking up with The Wonderful Wednesday Blog Hop. We are so glad you came. Wow this looks great! I would love it if you joined and contribute your awesome posts at my link party at City of Creative Dreams, starts on Fridays 😀 Hope to see you there at City of Creative Dreams Link Party.